I hear you! It’s soul-destroying when you come home to find Fido has torn your valuables to shreds. Particularly when it’s your favourite pair of shoes or your prized sofa. If your hurricane pup is causing thousands of pounds worth of damage, there could be a number of reasons for that behaviour. The most common motive is boredom related – your dog may not be getting the stimulation they need to release pent up energy. But it could also be anxiety related, a lack of training, normal puppy chewing, to seek attention or even a medical issue. We all love our pooches no matter how much carnage they cause, but if you’re here, I’m sure you’re desperate for this destructive streak to stop. These tips will help save you from further expensive repairs to your home and create a calmer, more well-behaved pooch. 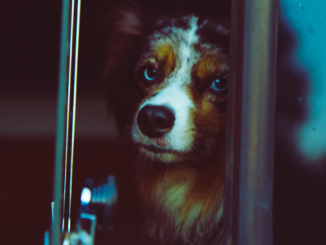 If your dog hasn’t been taught appropriate behaviour, how can you expect them to know right from wrong… Dogs need feedback to learn how they’re supposed to behave at home, and this all starts with training. 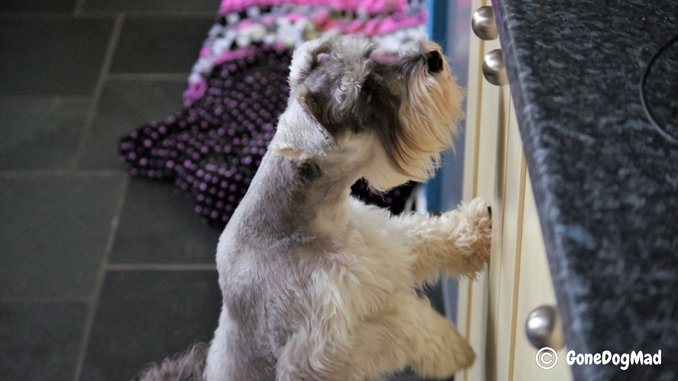 You should aim to watch your dog’s actions so you can step in and correct the behaviour. Whenever pup is about to be destructive, make a loud noise by clapping your hands or shaking a bottle half-full of pennies. This provides an instant distraction to stop the destructive behaviour. As soon as they stop, hold an appropriate chew or toy in front of them and praise when they show interest. This shows your dog what is and isn’t acceptable for chewing. Do this every time you spot your dog in destructive mode. If you’re not consistent, your dog will receive mixed messages and you’ll unlikely see any changes. 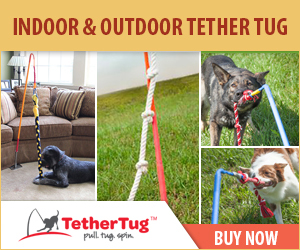 Consider whether you’re fulfilling your dog’s exercise needs. I mean, really think about it. Some breeds need far more exercise than others. A Collie or German Shepard will need at least two hours of exercise a day. 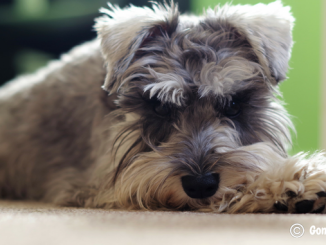 But a Yorkshire Terrier, or in my case, a Miniature Schnauzer can be perfectly happy with 30-60 minutes a day. Do a quick Google search on your dog’s breed if you’re unsure about how much daily exercise they need. Or check out this useful guide by the PDSA. Giving your dog adequate physical exercise is crucial for curbing destructive behaviour. If your dog is allowed to become bored, they’ll search for ways to occupy themselves and release excess energy. I.e. by chewing table legs or ripping up your cushions! If you think your dog gets the right amount of exercise, the problem could be your walks don’t provide enough stimulation and new opportunities to explore. Your dog can become bored of taking the same walking routes every day. Mix up your walks so they’re not as predictable and mundane. Try tackling more difficult terrain a couple of times a week such as walking through sand dunes, through a wooded area or up a rocky mountain. Your dog will love the adventure and will surely be exhausted after all that exploring. I’m a huge believer in mental stimulation for dogs, so much so my brain game collection grows on a monthly basis. After we started using brain games with Loki, I noticed a dramatic difference in her behaviour. She’s generally a calmer and more manageable dog. And although I do kind of miss her zoomies, I don’t miss her gnashers putting teeth marks on my coffee table! Problem solving games give your dog a good mental workout. And while the game itself diverts their attention from destructive behaviour, it also leaves them feeling calm, fulfilled and worn out afterwards. Less likely to want to sink their face in the bin or tear up your flower beds. I’ve spoken a lot about brain games in the past, but here are a few of our favourites below. Or try these unique DIY brain games you can make from household items. So, physical and mental exercise are two fundamentals for curbing destructive behaviour, but play between you and your pooch is equally essential. By play I mean playing a game of fetch, tug of war, or even a roll around on the floor. Not only does a good canine/human play session tire them out physically, they really do enjoy it. I think we tend to underestimate how critical play is to our furry friends. It’s a big part of their very being. You are one of the most important things in your dog’s life. You’re their family and a key member of their pack. So play also reinforces your bond, which in essence makes them more likely to respect your authority and listen when you correct their behaviours. We’re extremely lucky – we live a short walk away from a park where owners take their dogs every day. We usually head there on our way back from our walk, and there’s ordinarily at least one pup for Loki to play with. Sometimes there’s up to 10! Playing with other dogs is important to Loki, so it’s important to us, and it’s become part of our daily routine. Give your dog a chance to play with friends regularly to let them socialise and blow off steam. Nothings beats a good wrestle in the park to help your dog feel settled back at home. Bear in mind, this may not be for you if your dog isn’t friendly with other dogs. But if they’re a friendly pup, get in touch with your dog owner friends and arrange a place where they can both be off lead and explore their surroundings. Of course, ensure both dogs are happy in each other’s company if it’s a first-time meeting. 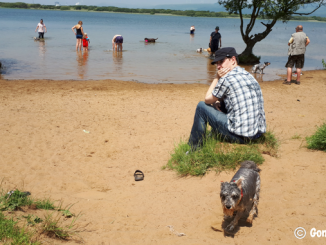 Head to an enclosed field, a dog park or a beach and let dogs be dogs. If you know you’re leaving your dog home alone for a while, give them something to occupy their time. If they’re left twiddling their paws, they’re more likely to find entertainment by chewing items they shouldn’t. Leave a couple of long-lasting chews out to focus their attention. I’ve mentioned these before, but antlers, bully sticks, cow ears, filled marrow bones and Kongs are some of our favourites. If they’re keen on tearing things up, you could provide a cardboard box filled with shredded paper and pop a few treats inside, or make a destruction box. They’ll have a blast finding all the tasty treats, and ripping up the cardboard is a great boredom breaker too if you don’t mind picking up the pieces. Far better than clearing up the remnants of a shredded sofa I’d say! 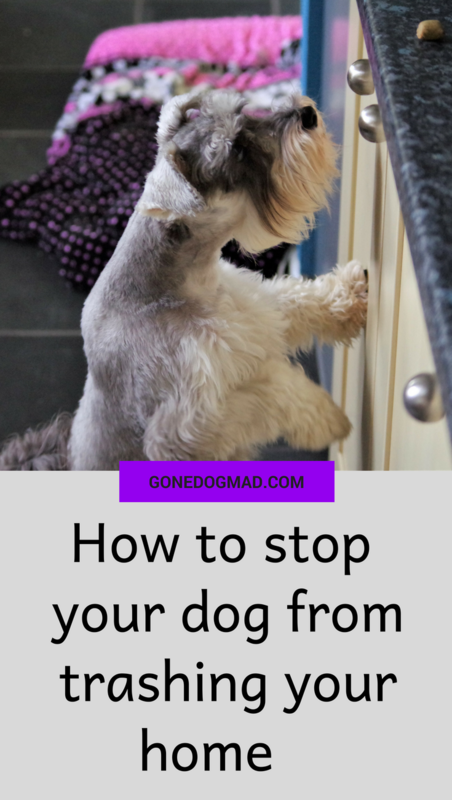 This seems obvious but it’s worth mentioning if you’re not sure how to dog proof your home. All dogs naturally enjoy exploring, but they tend to do so with their mouths. Especially curious puppies! If you constantly leave things lying around, that temptation to explore can be too hard for pup to resist. If they can get their mouth around it, more often than not they will. Our Loki was a shoe stealer so we bought a shoe cabinet to keep them out of reach. If your dog tends to rummage through your handbag, keep it on a hook. If they chew TV remotes keep them on top of a book shelf. Or if they’re constantly digging through the trash, keep it closed and secure or buy a dog proof bin. It may seem obvious, but anything that is small and light enough to pick up and chewed should be kept up high or behind closed doors. Our house is always tidy now for this very reason. To deter your dog from chewing furniture, try using a bitter apple spray to coat the area. The taste of the spray will be extremely unpleasant and will likely put your dog off. Although I have heard a couple of stories where it had no effect and the dog chewed regardless. I found this spray worked rather well at stopping Loki from chewing the carpet on the bottom step of our stairs. For a homemade option, you could also try mixing lemon juice with water to spray onto your furniture. Dogs hate the taste and smell of citrus for reasons unknown. But their dislike is particularly handy for keeping your dog away from forbidden areas. Although I realise some owners can’t help keeping their dogs confined while at work, I do not advocate keeping a dog in a crate all day. Being locked in a small space for 8+ hours is enough to make anyone go crazy. If I didn’t work from home, I would never have considered getting a dog. I just don’t see how it’s fair to force that kind of restrained, solitary life on an animal. I realise I may have lost a few friends there! But I see crating a dog as a last resort and something kept to an absolute maximum of 3 hours at a time. If you’re popping out to the shops for a couple of hours, absolutely, use a crate. 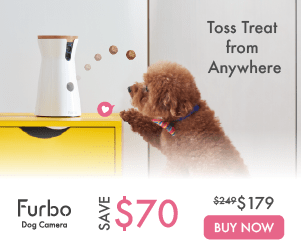 But instead of crating your dog all day, consider confining pup to one room such as your bathroom or kitchen, providing chews and toys to keep them happy and occupied. 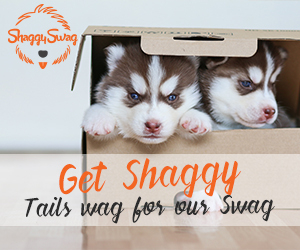 If you have to keep your dog in a crate, ensure they get ample exercise in the morning and a break during the day. Have a neighbour, friend or dog walker pop round to allow a toilet break and a lunch time walk. Crating your dog will no doubt prevent destructive behaviour, but you also need to consider the effect this will have on their happiness and mental wellbeing. It may seem like the easy option, but try the other tips before you resort to crating your dog all day. I guarantee you’ll feel better about it and your pooch will be so much happier for it. Great post although I have been fortunate with Layla and she only destroyed one thing, a tissue when she first arrived from the shelter, but I have heard from others the nightmares they have gone through. You are very lucky Ruth if Layla’s only destroyed a tissue since she’s been with you. What a good girl! Yes, it can be an absolute nightmare for some, but luckily we’ve gone past the puppy chewing stage. I remember the first few months the girls wanted to chew on everything. I’m going to have to look up some of those mental games – something I’d like to add to our activities. What great tips! I’ve found the best thing to be is to just keep things you love out of reach of a puppy! I learned to put my shoes away and close the closet door a long time ago! Luckily Lucy isn’t too much of a chewer. Thanks Tori! Yep, we learnt that pretty quickly too. They’re such little monkeys sometimes aren’t they! Luckily Loki’s pulled back on the chewing now. I was just checking out your blog too and Lucy looks lovely. Great tips! Luckily mine have both outgrown their destructive chewing days. Though I do have one that insists one picking up shoes and trying to shake them to death. 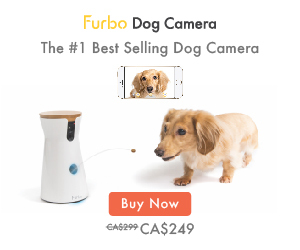 We’re there to monitor so it never moves into chewing. Thanks Joelle! Ah yes, the kill shake. Loki loves doing that too. Monitoring is definitely a great way to correct chewing behaviour before it becomes a habit. Great tips! I’m so lucky to not have chewers, but I have fostered some! Comprehensive post of awesome ideas! Love your suggestions. I upped our puzzle game play and one-on-one play during the last month or so of school here in Tucson. It’s too hot for walks once I’m home from school, and by the time it cools off, I’m ready for bed. The pups definitely seemed more antsy, so I was trying a variety of indoor strategies to wear them out. Looking forward to reading about your DIY brain games! Thanks Irene! Absolutely, feel free to check out the diy suggestions. 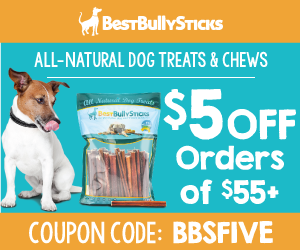 They’re great fun for both you and your pooch if you’re the crafty sort. There’s definitely more brains games going on in our house too since the weather’s warmer. My Loki’s useless in this heat!